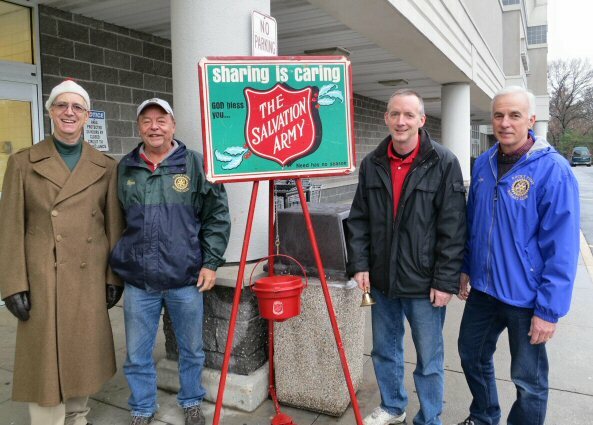 On a very rainy Saturday, December 6, 2014, members of Rocky Point Rotary and family volunteered to man the Salvation Army collection kettles at Waldbaum's in Rocky Point, This is an annual initiative undertaken by the Club. The Salvation Army kettle drive was started in 1891 when Salvation Army Captain Joseph McFee was distraught because so many poor individuals in San Francisco were going hungry. During the holiday season, he resolved to provide a free Christmas dinner for the destitute and poverty-stricken. 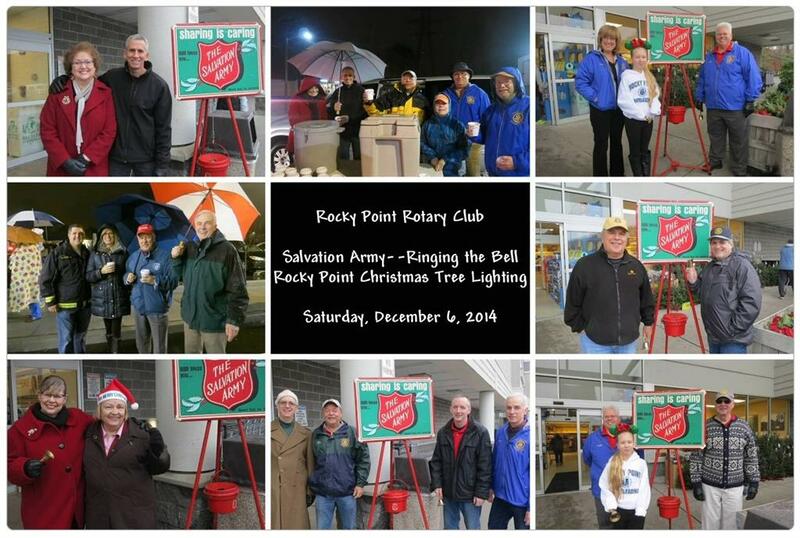 On the very same day, Rocky Point Rotarians braved the downpours and served hot chocolate at the annual Rocky Point Christmas Tree Lighting. This effort was coordinated by Rocky Point Rotarian, Jeff Davis, owner of the Rocky Point Funeral Home.